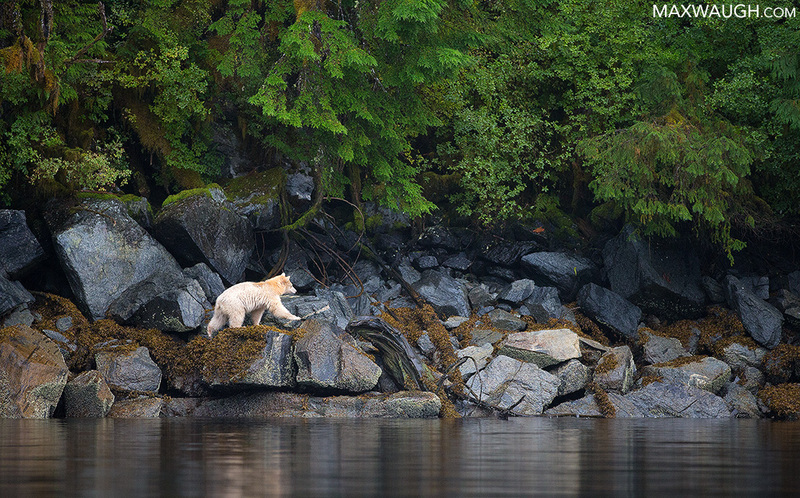 My final photo tour of the year took place in British Columbia's Great Bear Rainforest. We started and ended our nine day trip with good weather, with a lot of rain in between. I was joined by a wonderful group of clients as we searched for the spirit bear, grizzly and black bears and other wildlife. Even when the animals don't show up, the scenery in this beautiful part of the world can be quite spectacular. I've published a full gallery from the trip on my site. A short preview is below. It was probably my best trip to this region for black bears. We saw quite a few, including this sow and cub foraging along the shore. 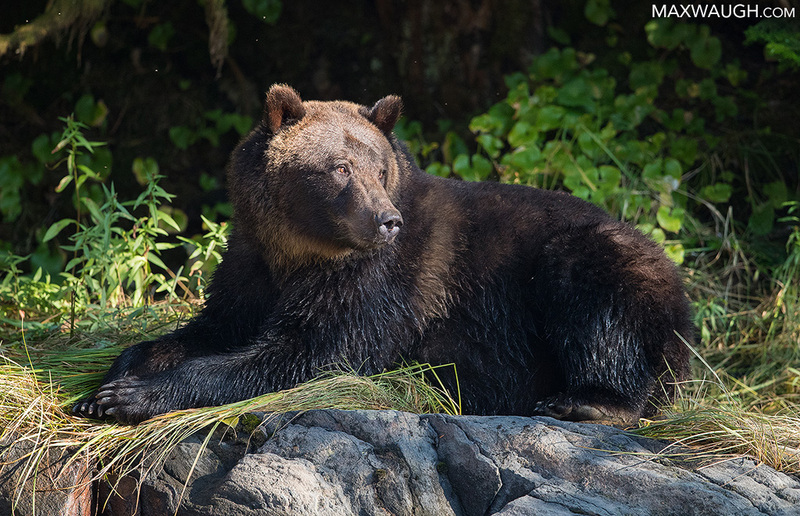 Though there wasn't as much grizzly activity as last year, we had some nice viewing. This handsome male was napping behind us for several minutes before we even became aware of his presence. 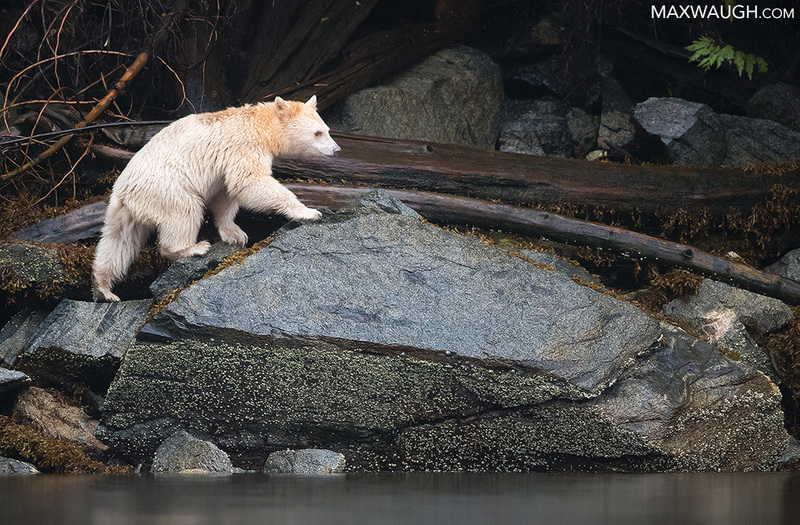 The spirit bear, a white phase black bear, is the main draw of the Great Bear Rainforest for many visitors, since it's only found in this part of the world. 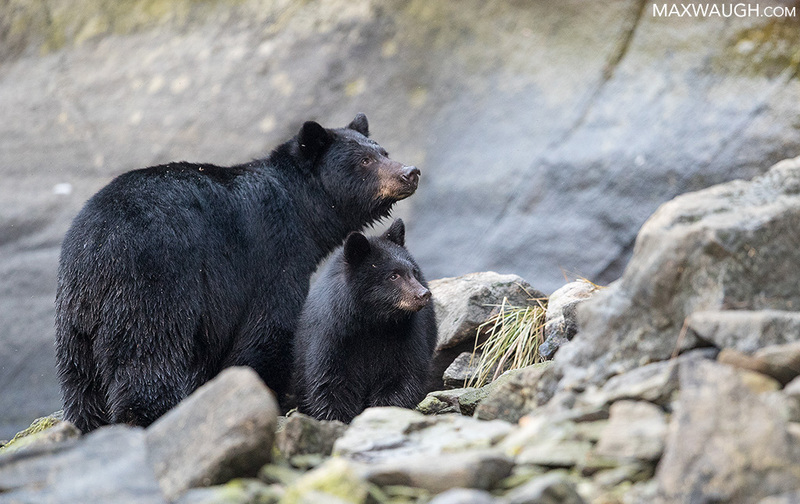 We don't visit the popular (and crowded) viewing platforms where most folks see spirit bears. Instead, we search the coast and some out-of-the-way spots for them. When we find them (as was the case here after four days of searching), the encounters are often more rewarding and much more private. There's plenty of other wildlife too. This was the first time I've seen a seal taking a bubble bath. 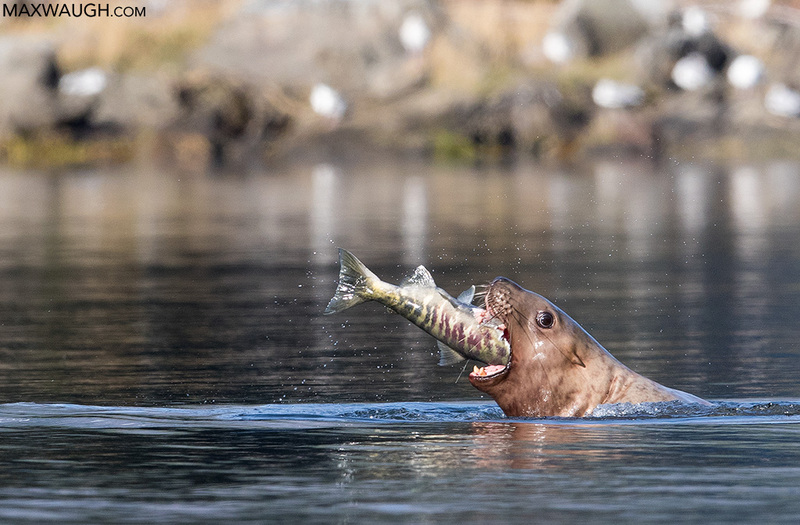 Among other species, we saw Steller sea lions, sea otters, mink and humpback whales. After several days of rain, the sun finally burned through the clouds on our final morning. 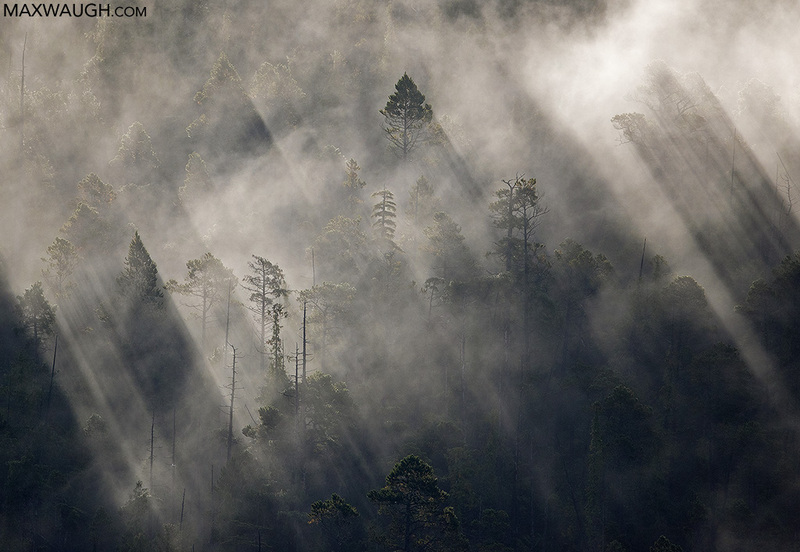 That last shot shown here with the sun and shadows through the mist is truly beautiful!